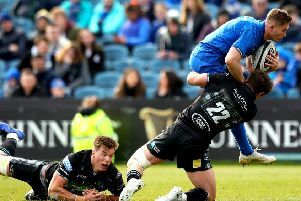 Scotland have allowed six players to return to the Glasgow Warriors squad for Thursday’s Pro12 clash with Newport Gwent Dragons. Three make the starting XV with the other three on the bench after Scotland coach Vern Cotter released them from their Scotland duties as he looks to cut down his national squad. It means Josh Strauss captains the Warriors’ side, while Rob Harley and Duncan Weir will also start the match. Gordon Reid, Zander Ferguson and Grayson Hart will all take their place on the substitutes bench. Meanwhile, Peter Murchie will make his 100th appearance for Glasgow.